Spud Reducer reduces 2-inch flush valve to 1 1/4-inch down tube. 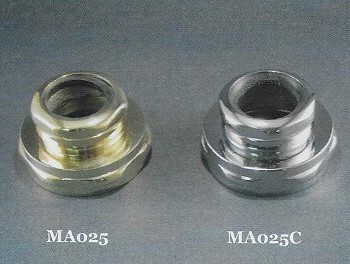 Includes slip joint nut gasket and washer. Available in Polished Brass, Lacquered Brass, Chrome, Polished Nickel, Matte Nickel, Oil Rubbed Bronze, Antique Brass, or Polished Copper finish.